It can be difficult to navigate the complex legal process of contract litigation. Most business deals require a contract. When one party fails to honor the terms of the contract, the result is an action by one party against the other for breach of contract. 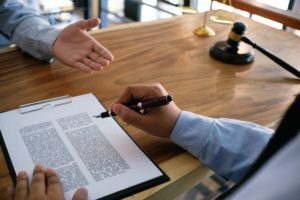 Duggan & Hughes will work with you to resolve your contract dispute and work with you to improve or write contracts for you and your company.